Mamava makes pumping and nursing your little one SO much easier with their simple solution! Look for mamava’s at airports, arenas, zoos and other places by visiting their website or downloading their app! Be on the lookout for Parker sporting his mamava onesie soon! Whether you travel for work or just for fun, Milk Stork makes it possible to provide for your baby while gone! After having Landen and Caroline, which seemed liked I just grabbed whatever would suffice, I actually took some time to find the latest in bibs for Parker. These adorably bright and easy to clean bibs from Happy Healthy Parent are high quality and look adorable on! Money well spent! The March of Dimes is a huge part of our family. It is our philanthropy and we are proud to support the research they are doing in order to give all babies a fighting chance. I love supporting LOCAL. My friend owns this online company and she’s always right on trend! My wardrobe has become mostly Bella’s Basket…check her site out and follow her on Instagram! 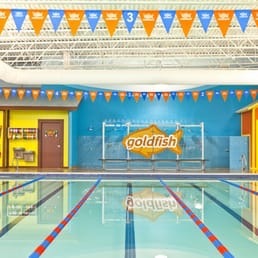 Our family LOVES Goldfish Swim School-West Chester! The bright and tropical environment make coming to class fun-and feels like vacation! Owners, Mandy and Joe are the nicest people-welcoming, friendly, and kind! The staff are exceptional and the children quickly warm up to them! I highly reccomend Goldfish! From tragedy to triumph, Jennifer has found her way through a difficult time through art. She is an artist and the founder of Operation Serve to Heal. She paints and makes custom leather cuff. I have a custom made cuff that I am IN LOVE with and wear everyday. You have to see her site and follow her on Instagram!